The energy transition requires a wide range of technological innovations, including new methods for storing energy. 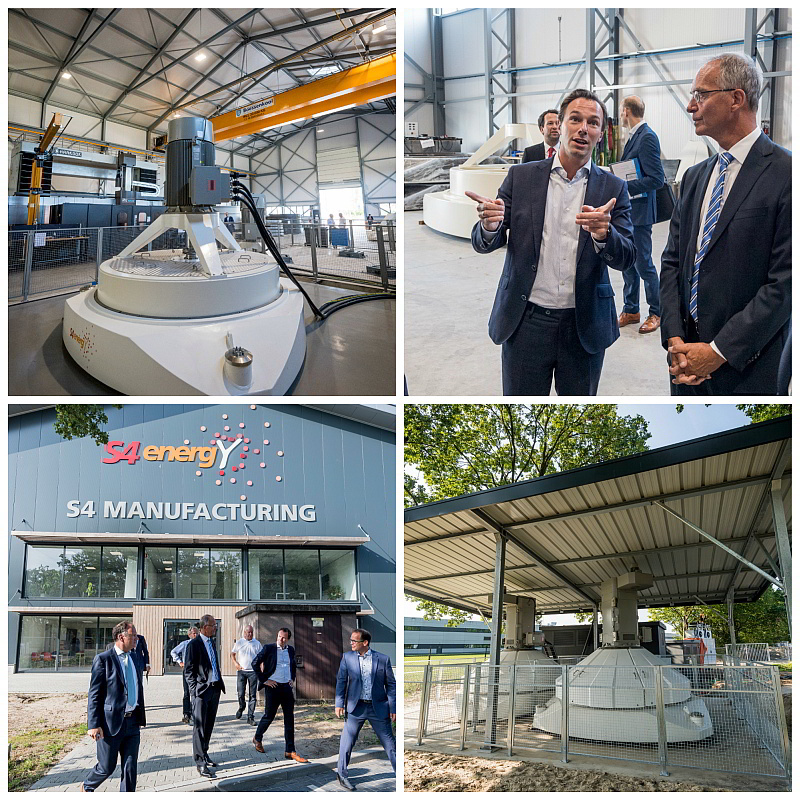 Mr Henk Kamp, Dutch minister for Economic Affairs and one of the driving forces behind the Energieakkoord, recently visited the S4 Manufacturing site in Almelo to witness firsthand the production of one promising method: next-generation kinetic storage. Mr Kamp was accompanied by David Pappie, the ministry’s director for Top Sectors and Industry Policy. They received a guided tour of the S4 Manufacturing plant, where our KINEXT flywheel systems are produced, as well as the adjacent production facilities of Osse Equipment Group, our partner in the S4 Manufacturing joint venture. The visitors expressed an enthusiastic interest in the KINEXT technology and its potential contribution to the energy transition. This includes balancing services for the national grid as well as improving the performance of wind farms, which may no longer require government subsidies as a result. There’s no shortage of people with good ideas to tackle the big challenges society faces , Mr Kamp said, but it takes special expertise to turn ideas into reliable products. This facility has that expertise in abundance, and I’m optimistic about its future.